Toxic Masculinity: Because when the poo hits the fan, people do not call progressive feminists for help!!!! They are mad at men, We are growing more beards, buying cheaper Razors, While they have convinced the ladies that the same razor packaged for females is worth more. Maybe they believe that their best market is girly men. Anyone who has ever shaved with a Blue Blade, will understand how much Gillette really hates us. I won't post the link here for fear of flirting with the forum rules. But Gillette had an advertising campaign in the Netherlands in 2011 that featured women wearing tight blue pants with their backs to the camera and a Gillette logo on the small of their backs. Some of the shots had 20+ women in that attire. 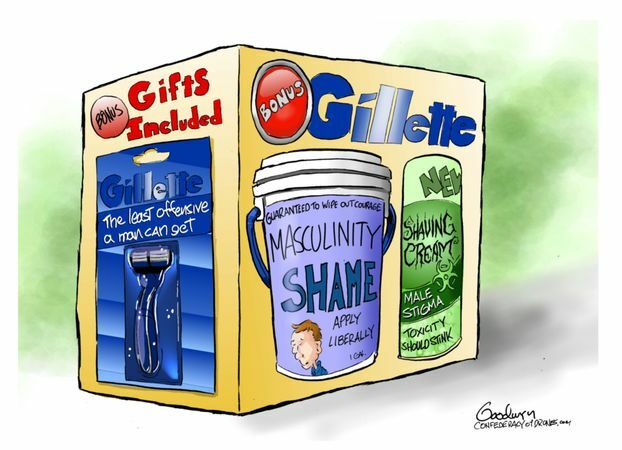 Perhaps it is just me but paid advertising like that seems more toxic toward women that the what Gillette is now claiming is included in toxic masculinity. I signed up for the Dollar Shave Club as a direct result of this nonsense. 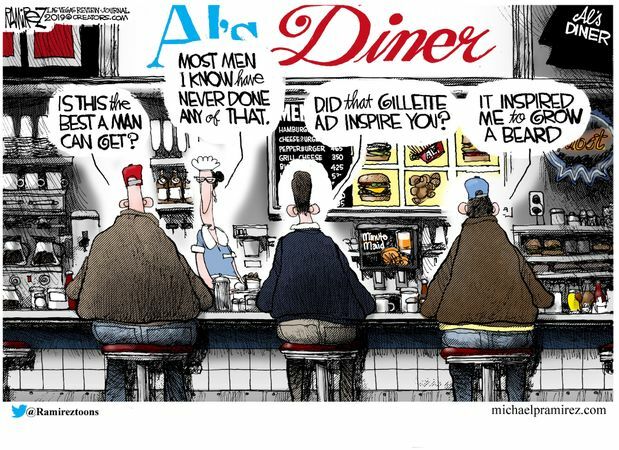 I think I understand the idea behind the toxic masculinity add. 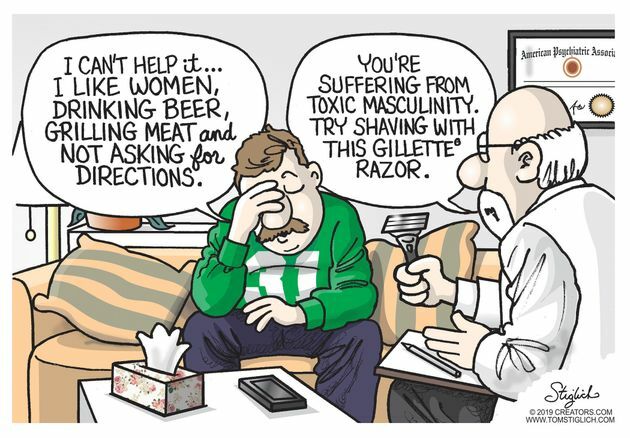 If Gillette can convince all men to act like women, then the men will start shaving their legs and underarms. "Incel" = Involuntarily celibate = loser males who want a romantic relationship, but are socially inept, and angry at women for not giving it up. The word was in this thread's title, but I provided the definition since it may be new to some forum readers. Yeah, when I saw the ad I was glad I joined DSC a couple years ago. How's the sharpness life on the DSC blades? I started using Harry's a few years ago and was impressed how long the blades lasted over the usual name brand blades. It's been about 10 years since I bought a razor. I guess my face screams toxic masculinity. That and at times advertises what I had to eat. They can't be wanting to sell more women's razors cause women who like girly men probably don't shave their legs or armpits. I haven't received them yet, perhaps by this weekend. Oops...meant to ask E10 but reply on wrong post. E10: How's the sharpness life on the DSC blades?